Bnei Brak is a city located on Israel’s central Mediterranean coastal plain, just east of Tel Aviv, in the Dan metropolitan region and Tel Aviv District. Bnei Brak was founded as an agricultural settlement in 1924 and was declared a city in 1950. Indeed as a major Chasidic Center it enjoys close relationships with all Chasidic communities in New York. The population consists predominantly of Ashkenazi Haredi Jews; Sefardi Haredi Jews constitute a significant minority. Bnei Brak is noted for its abundance of self-help and volunteer organizations. Several organizations help the ill, special needs population, and the poor. There are also available abundant articles to be borrowed free of charge, from extra baby beds, electric drills, paint rollers, to bridal dresses. The city has a population of about 160,000 residents (as of September 2006). It also has the largest population density of any city in Israel, with 20,076 inhabitants per square kilometer (51,996.6/sq mi). The Sephardic Legacy Series Institute was founded by Yehuda Azoulay in 2007 for the purpose of educating and inspiring Sephardic Jews through knowledge about their heritage. 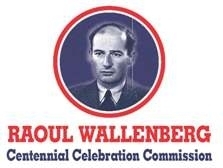 The Commission works on a national campaign to highlight the incredible heroism exhibited by Raoul Wallenberg and to award him with a Congressional Gold Medal posthumously. SPARKS is an organization that works to help women (and by extension their families) who suffer from postpartum depression and other mental illnesses. ZAKA's mission is to rescue and recover victims following terror attacks, bombings, natural disasters, missing persons missions, and general disaster relief. Shiel Medical Laboratory, located in the historic Brooklyn Navy Yard. We proudly represent Xchange Telecom in obtaining federal grants and handle its Government Affairs. The Friedlander Group is assisting the campaign in outreach to the Jewish Communities. In recognition of Israeli President Shimon Peres’ work and leadership, Members of the US Congress introduced legislation to award the President Peres the Congressional Gold Medal. A Celebration of the 100th anniversary of the independence of Albania, which emerged after 400 years of occupation by the Ottoman Empire on November 28, 1912 will take place on Capitol Hill. May has been proclaimed by President Obama and United States Congress, Jewish American Heritage Month. Despite years of oppression and persecution, Jews have always risen up to help bring improvement and progress to society. Since the times of Bar Kochba (63 C.E. ), the city of Beitar has been synonymous with Jewish history and the indomitable Jewish spirit that refuses to succumb to outside forces. The International Center for Autism Research and Education (Icare4autism), a New York City- based non-profit organization, announced plans to create the world’s first Global Autism Center on Mt. Scopus in Jerusalem, Israel. Shuvu is a vast network of schools in Israel, educating children from the Former Soviet Union and introducing them to their religious heritage. Congressman Jerrold Nadler represents New York’s Eighth Congressional district. La Carne Grill is a restaurant that adheres to the strict kosher guidelines, while maintaining a sophisticated atmosphere. Jewish Community Council of Marine Park (JCCMP) represents the voice of the Jewish community in the greater Marine Park area. Jack Jaffa & Associates is a leading real estate consulting firm based in New York.